It is rare to find objects that combine minimalist austerity with a luxurious sensibility. Offset Cube balances these two opposing qualities skillfully. 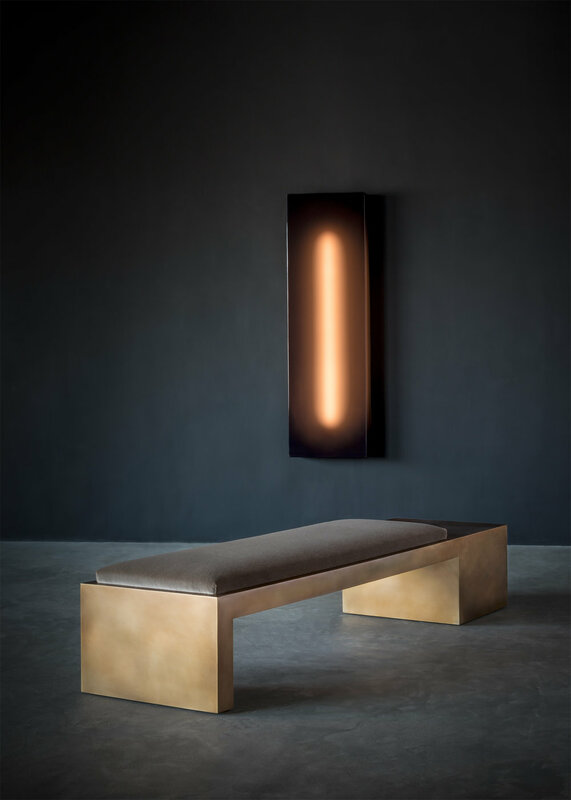 Equally conceptual and functional, this sculptural bench is characterized by a quiet monumentalism that is as subtle as it is grand. Welded bronze over wood with mohair and all natural upholstery (wool, latex foam and cotton).